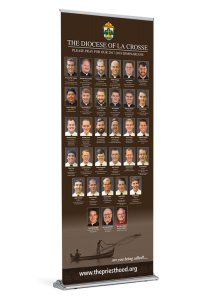 On January 1, 2018 the Diocese of St. Petersburg began the celebration of its 50th Anniversary with the theme of gratitude, joy, and hope. 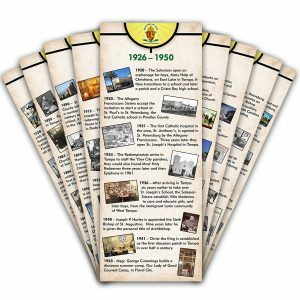 At the request of the Diocese of St. Petersburg, this beautiful Timeline Series has been created as a visual way to remember the past with gratitude, celebrate the present with joy, and look to the future with hope. 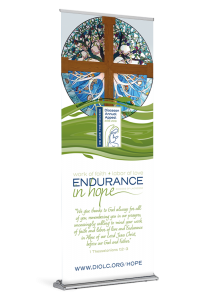 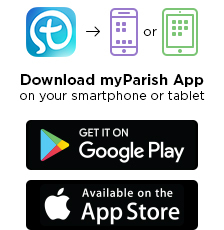 It is made available to you at the special Diocesan Tier Level price of $351 – a savings of $90 for the 9 Banners! 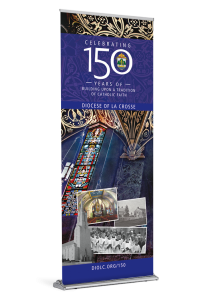 If you are in need of a Stand for displaying the Timeline Series Banners, it can also be purchased at the Diocesan Tier Level price of $50/Stand. 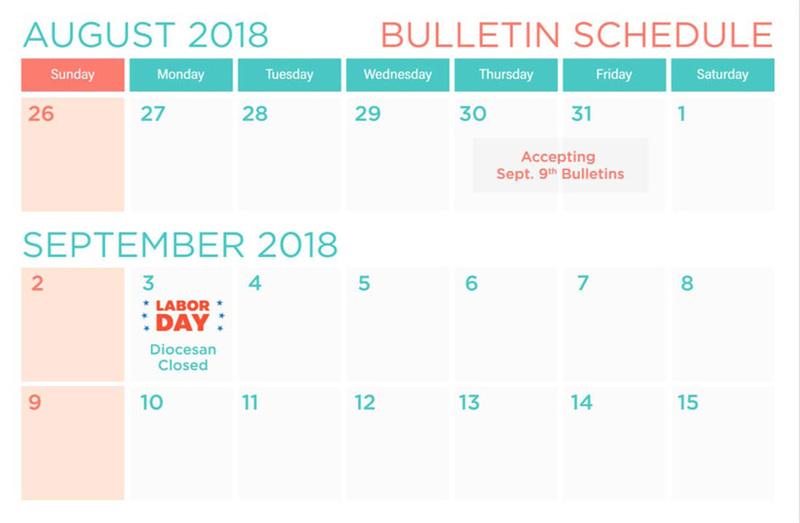 This special pricing is extended to you in honor of the 50th Anniversary celebration.